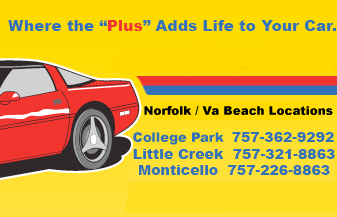 Having engine problems in the Norfolk / Virginia Beach, VA area? Give Accurate Tune Plus a call! We can and will fix any engine problem for your car and truck at an honest, affordable price and as quickly as possible. We do full engine replacement service if and when needed, but in most cases your engine just requires some TLC and a tune-up or repair. Bring your car engine problems to us and we’ll fix them, giving you peace of mind. Visit us at any of our four convenient locations in Norfolk (Little Creek, Monticello, Shore Drive) and in Virginia Beach (Kempsville). Don’t let a bad engine slow you down… Let Accurate Tune Plus get you back on the road quickly.